Run the sample above at Deck.NET. A great place to start if you're new to Bridge is reviewing the Getting Started wiki. The easiest place to see Bridge in action is Deck.NET. The following code sample demonstrates a simple App.cs class that will run automatically on page load and write a message to the Bridge Console. A full list of installation options available at bridge.net/download/, including full support for Visual Studio and Visual Studio Community on Windows, and Visual Studio Mac. If you're using Visual Studio for Windows, the easiest way to get started is by adding the Bridge.NET for Visual Studio extension. From the options on the left side, be sure to select Online, then search for Bridge. Clicking Download will install Bridge for Visual Studio. After installation is complete, Visual Studio may require a restart. Once installation is complete you will have a new Bridge.NET project type. When creating new Bridge enabled projects, select this project type. 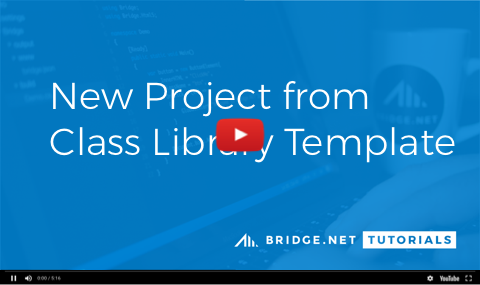 Another option is installation of Bridge into a new C# Class Library project using NuGet. 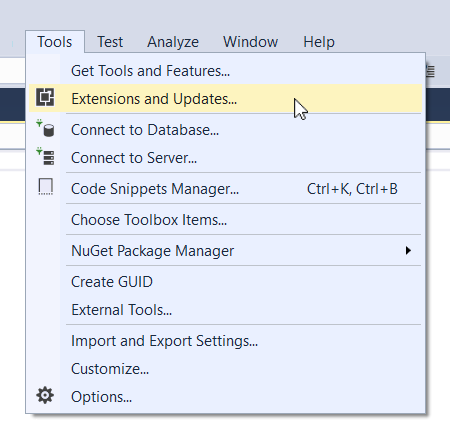 Within the NuGet Package Manager, search for Bridge and click to install. More information regarding Nuget package installation for Bridge is available in the Documentation. Interested in contributing to Bridge? Please see CONTRIBUTING.md. We also flag some Issues as up-for-grabs. These are generally easy introductions to the inner workings of Bridge, and are items we just haven't had time to implement. Your help is always appreciated. Bridge is continually tested with the full test runner available at http://testing.bridge.net/. Bridge is developed by the team at Object.NET. 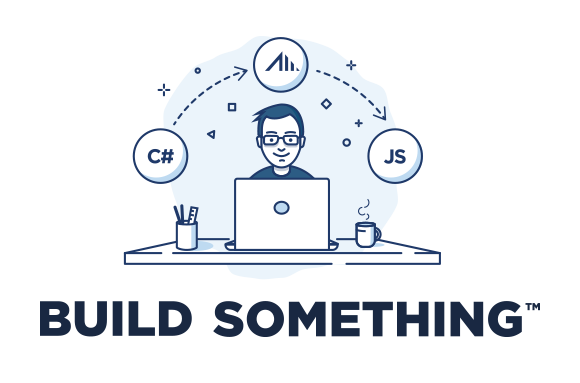 Frameworks and Tools for .NET Developers. Please see LICENSE for details.